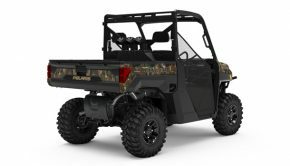 When Polaris introduced the RZR XP 900 for sporting enthusiasts, it was the best UTV to ever hit the market. 5 years later it’s still a great car and many prefer it to everything else out on the market. Many are vested into the 900’s with lots of added upgrades, so they don’t want to dump their car to grab up a 1000 and still need to add a host of personal touches. A couple years back we tried out a desert adventure project RZR XP 900 that CT Racing Engine’s owner Allen Knowles put together for his wife and himself. If you haven’t seen that test, make sure to check it out. 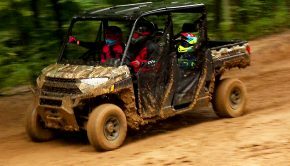 While the car was better in almost every way, the added chassis, suspension, doors, and other add-ons weighed the car down a bit, putting it still at a poorer “power to weight” ratio than the newer XP 1000. 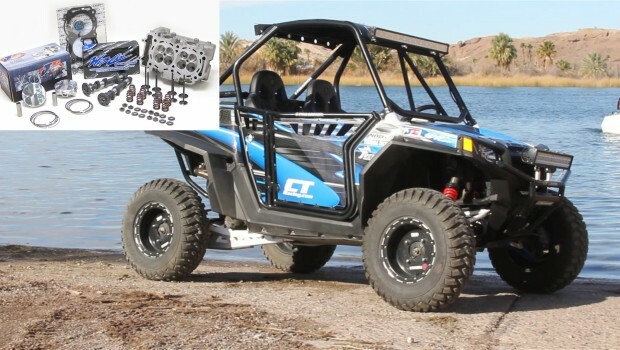 With the engine being the one part of the car left untouched, CT Racing decided to start adding improvements to their RZR 900 to see how well they could get it to stack up against the XP 1000. CT wanted a faster engine with more horsepower and torque while maintaining the 900’s bulletproof reliability. CT give the engine an overhaul and a tune up. This particular car had about 2000 miles on it at the start of the program, CT Racing went completely through the motor, just to check it out, making sure we had a solid platform to build on. Allen told us, “We’ve seen motors with less than 2000 miles that needed re-building and we’ve seen motors with more than double that and were still solid”. This particular car was meticulously maintained with service intervals done significantly more often than factory recommendation. The rod bearings, and counter-balancer bearings were in near perfect shape, but since we were already there we installed new ones because they are inexpensive. If you’ve been changing your oil on a very regular basis you should be good to go. If you haven’t, then start doing so. This car never saw 400 miles without an oil change and it showed. “We all run these things hard in a very hostile environment for a motor to live in. Keep your internals clean, with fresh oil, and clean air filters,” said Allen. The bottom end was just freshened up, using the stock rods, and so forth. For this type of build, they are fine, however, if your building a fire breather with turbo or nitrous, you had better upgrade the bottom end. CT Racing worked with Web Camshafts, developing a camshaft to work well within the power curve needed for this project. CT Racing diamond honed the cylinder and installed a set of JE Racing pistons with 11/1 compression keeping it in 91 octane pump gas range. Vhe Vortex ECU allows CT to add RPM for more top speed, improves ignition timing and fuel curve to develop more HP and keep the motor cool. The head is where the bulk of the power comes from so that’s where CT Racing went to town. CT CNC ported the head to maximize flow. Then they performed their “CNC 5 angle radius valve job” for oversized valves. The 5 angle valve job has no effect on durability, it just picks up the flow numbers. Durability comes from a concentric valve job. 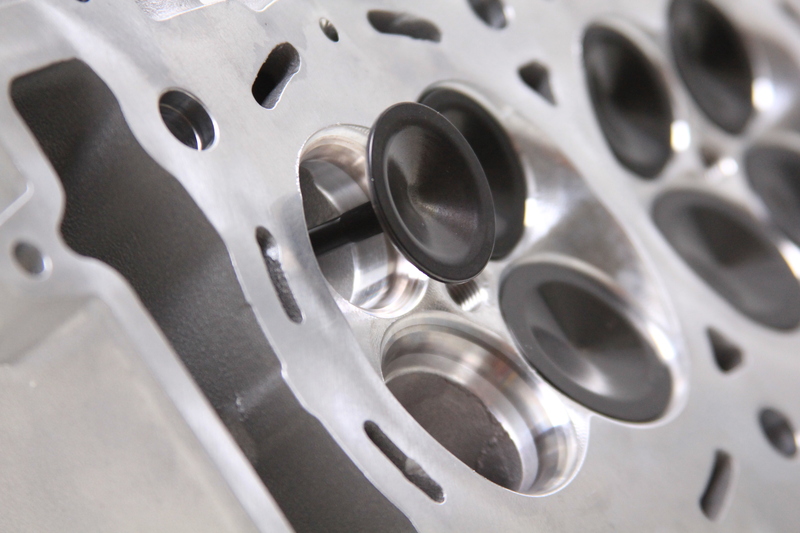 The CNC machine insures that, as well as the width of the 45 degree angle where the valve contacts the seat. Re-shaping the seat and port throat with the 5 angle valve job increases flow with better angles that are far beyond what a factory head, or most heads cut with non CNC valve equipment would have. 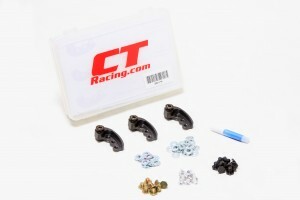 CT Racing bumped up the valve size 1 mm all the way around, also increasing flow, with no effect on durability. 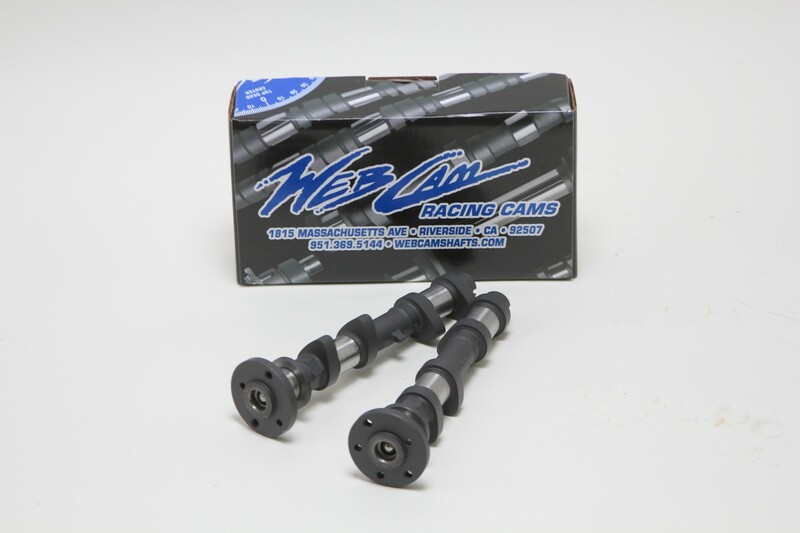 To get all of these components working, CT Racing worked with Web Camshafts, developing a camshaft to work well within the power curve needed for this project. 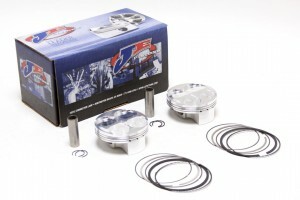 With the added lift, and to control the valves CT used R&D beehive valve springs. The Beehives put less pressure on the head of the valve and the seat at closing, and have the pressure to control the valve at high lift. CT Racing diamond honed the cylinder and installed a set of JE Racing pistons with 11/1 compression keeping it in 91 octane pump gas range. 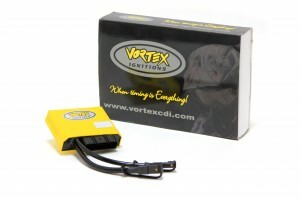 Far more than just a piggyback fuel programmer, CT utilized a Vortex ECU. 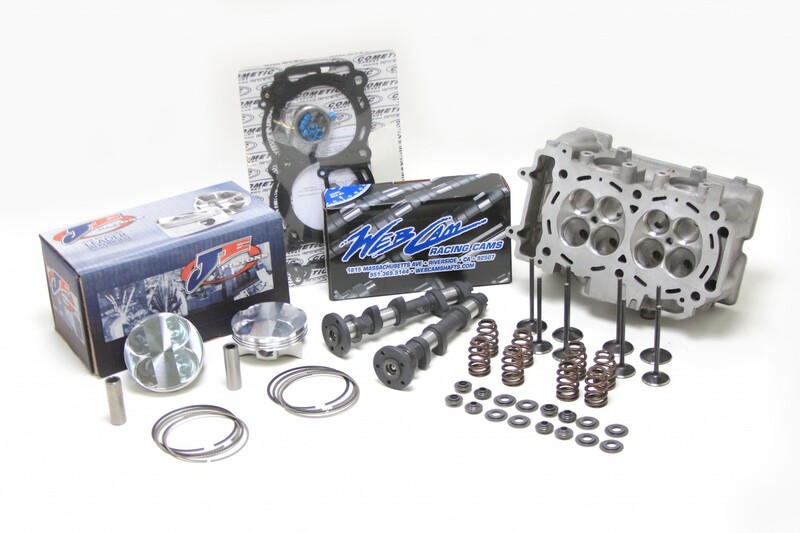 The Vortex is arguably one of the best on the market, and lets the engine tuner have further control over so many variables. Ct tells us it allows them to really get what they want out of the package, adds RPM for more top speed, improves ignition timing and fuel curve to develop more HP and keep the motor cool. Even the radiator fan control can be manipulated. 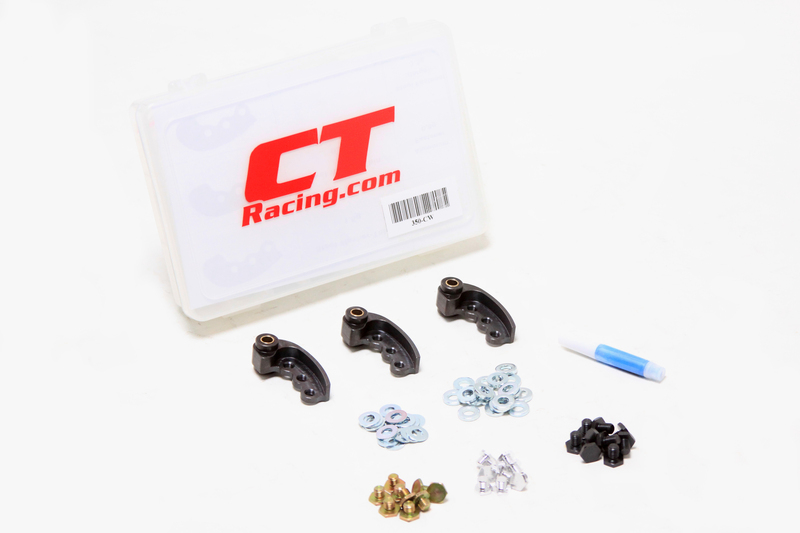 CT was able to develop fuel curves not just at full throttle but at partial throttle settings all throughout the RPM settings, keeping control of heat and offering more HP. We went with the Fuel Customs Air Box set up. The fuel customs filter set up gains power over the stock box, and this was a large issue when we started running the HP up. The stock box was like running a restrictor plate on a non restrictor track! 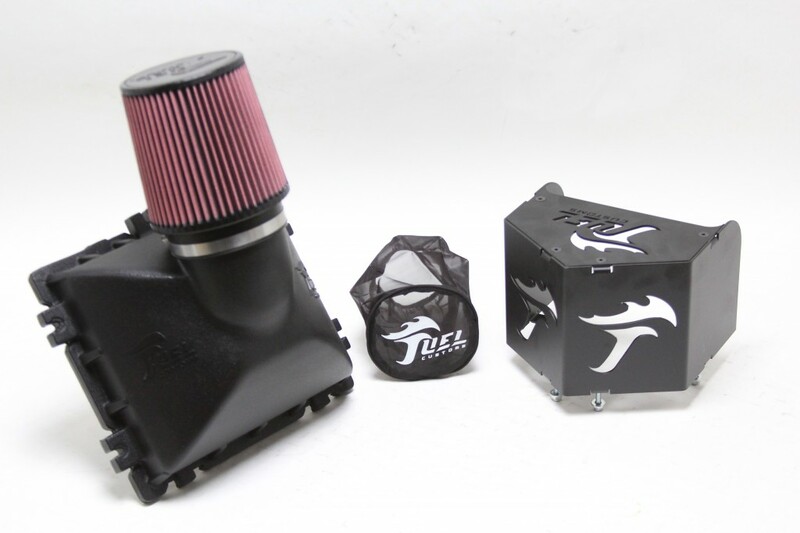 The fuel customs box utilizes the stock front half of the air box, but the back half is larger and changes the intake from stock with a larger opening and adding a filter that pops up in the bead. It does come with a solid guard so you can still pack stuff around and in front of it without risking damaging the filter. 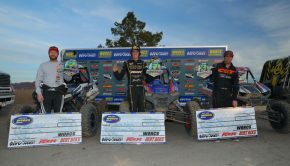 Race guys run with just the Fuel Customs filter for a little extra HP. We dyno tested it to find that it only dropped 1 HP when running it double filtered, so that’s what we did and would re-commend. You can run a stock or stock replacement filter in the box and then the Fuel Customs with an Outerwear as a Pre Filter and significantly improve motor life with clean air being fed to it. The Fuel Customs Intake System gains power over the stock box, which became an issue when we started running the HP up. The stock box was like running a restrictor plate on a non restrictor track! The Fuel Custom’s intake flowed much better than stock. The Alba adjustable clutch weight system allows you can dial in the RPM shifting exactly where you need it. CT and Alba both have a pretty good database, so they should be able to offer a plug and play set up. With the motor program in hand, clutching is the next issue. When you kick the power up, change tire size, or both, it changes the need for clutch weight. The stock clutching won’t hold the power, and will go to the rev limit. There are a lot of options for clutching. Some companies like EPI will require your tire and engine specs, and ship you a clutch package to work with them. We went with the Alba adjustable clutch weight system. The upside to it is you can dial in the RPM shifting exactly where you need it. The downside is that you may have to pop it apart and make a change. CT and Alba both have a pretty good database, so they should be able to offer a plug and play set up. CT changed the clutch cover to a Fuel Customs setup. It’s a 2 piece cover, so you don’t have to pull the shock to change belts, it also drops the belt temp a significant amount. A cool belt is a happy belt. With a couple of thousand miles on the axles and CV joints , CT noticed one front and one rear axle were not running true. With the added HP, they decided to upgrade the axles to a set of Demon Heavy duty Axles. The Demons have a larger diameter axle shaft made of better material along with upgraded CV Joints. They come as an assembled unit making them very easy to change. 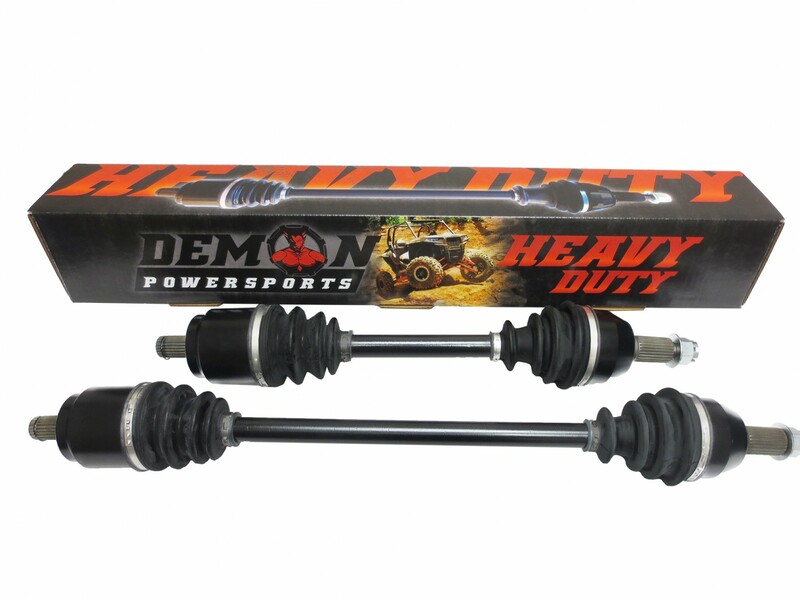 Demon’s Heavy Dusy Axles have a larger diameter axle shaft made of better material along with upgraded CV Joints. They come as an assembled unit making them very easy to change. With this build, on went a set of DWT Beadlock wheels with a set of 28″ GBC Katani Mongrels clamped on. With this build, on went a set of DWT Beadlock wheels with a set of 28″ GBC Katani Mongrels clamped on. We’re a big fan of beadlocks on an adventure style car as you can run a long ways on a flat tire if that’s your only option. The mongrels are a great tire offering good durability and amazing traction. We run the same size all the way around. We have 36″ and 20″ LED light bars clamped on the car. You can pick up high quality light bars at reasonable prices at Oulaw LED. All of the extra horsepower not only makes the car accelerate harder, but the improved power to weight ratio makes it feel lighter and more controllable with the gas pedal. We met up with CT with their highly accessoriezed, pumped up XP 900 in Parker Arizona for some trail time and head to head drag races against a stock RZR 1000. Out on the trail the difference in power feels dramatic. 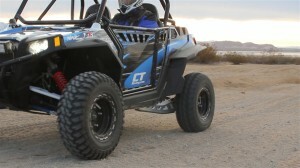 The extra horsepower lights up the tires accelerating from a dead stop or exiting corners. All of the extra horsepower not only makes the car accelerate harder, but the improved power to weight ratio makes it feel lighter and more controllable with the gas pedal. Breaking the rear end loose and drifting through corners is thrilling and easy to accomplish. 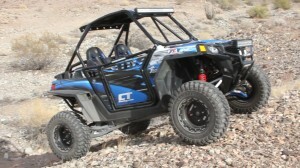 Powering through deep sand or up a steep incline, it’s obvious that CT’s High-Output motor package adds substantial torque to the XP 900, where the stock engine lacks the most compared to 1000s. 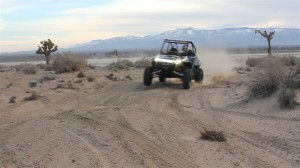 the added power had the 900 spinning the tires off the line. 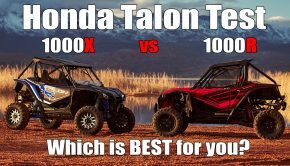 So how does it stack up against an XP 1000? Impressively! We ran an estimated 150 yard drag race repeatedly. Both cars got off the line together, although the added power had the 900 spinning the tires off the line. 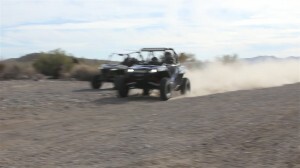 By the end of the run the 900 was repeatedly leading by half a car and pulling away. Complementing the improvement in acceleration, the taller tires, clutching, improved top-end horsepower, and higher rev limit allowed the car to pick up around 7mph on top, making it pull away from the 1000 on top. The longer the race, the larger the gap would become. Considering this car has around 300 pounds of accessories, including the added rotating mass of the DWT Ultimate Beadlock wheels, taller Mongrel tires, and more gnarly Demon Axles, we found this engine’s performance pretty darn impressive. With less accessories on the car, it would have been even faster. With reliable gains across the RPM range we could see this being a great motor package for weekend warriors and endurance racers alike. By the end of the 150 yard drag race the 900 was repeatedly leading the 1000 by half a car and pulling away. For a machine you may already have well over $25,000 invested in, you would be lucky to recover half of your investment it you sold your XP 900 to upgrade to a stock 1000. With this motor package starting at $2,195, you can keep the car you love, and have the power to whup up on some 1000s. Summary: For a machine you may already have well over $25,000 invested in, you would be lucky to recover half of your investment it you sold your XP 900 to upgrade to a stock 1000. With this motor package starting at $2,195, you can keep the car you love, and have the power to whup up on some 1000s.